In May 2012, United Nations Special Rapporteur on the right to food Olivier De Schutter completed an 11-day mission in Canada. While the visit became a flashpoint for political agendas at the provincial, territorial and federal levels, his conclusions were no surprise to those familiar with issues of poverty in Canada (and elsewhere): “What I’ve seen in Canada is a system that presents barriers for the poor to access nutritious diets and that tolerates increased inequalities between rich and poor, and aboriginal and non-aboriginal peoples,” said De Schutter. Canadian Feed The Children has been addressing nutritional gaps in Canadian communities for many years through First Nations nutrition programs including school and community breakfast and lunch initiatives, largely directed to Aboriginal populations in under-served, remote locations. While organizations like ours have an up-close view of the inequality many Canadians face, the UN Special Rapporteur’s report and response to it underscores that it’s a concern that many Canadians share. CFTC is working collaboratively with the community on a pilot program to expand nutrition education at Eel Ground First Nation. It is a tragic reality that one in four Aboriginal children in Canada grows up in poverty. 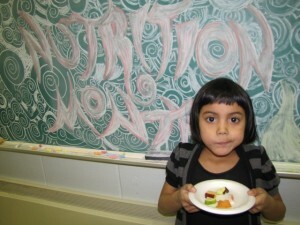 Aboriginal children are four times more likely to report being hungry than other Canadian children. They also suffer from significantly more nutrition-related health problems than their non-Aboriginal peers. 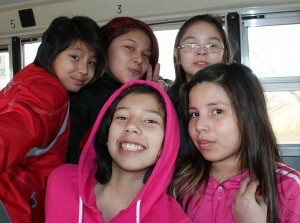 Poor nutrition, low levels of education, and unsafe housing are persistent problems for Canadian Aboriginal children. Unemployment rates on Aboriginal reserves can be as high as 85 per cent. Sixty per cent of Aboriginal students on-reserve and 43 per cent of those off-reserve drop out of high school, leaving them trapped in the same cycle of poverty as their parents. Those statistics are the accumulated effects of generation after generation of poverty, the experience of and legacy left by the residential school program, and the steady erosion of language, culture, land and family support through systemic and systematic practices. The outcome is inter-generational poverty, malnutrition and food insecurity at levels that match those in the developing world. While it has become a catchy sound bite to compare the problems among Canada’s Aboriginal Peoples to those experienced by people living in poverty in the developing world, in many respects, it is accurate. Canada’s Aboriginal population, both on- and off-reserve, experience the classic definition of food insecurity: it is not that healthy, nutritious food is not available, it is that many have no access to it — i.e., they cannot afford it. The problem of poverty among Canada’s Aboriginal Peoples is embedded in a very specific and complex political, economic, social and historical context. Our perspective is that the way out of poverty – whether in Africa or Alberta; La Paz, Bolivia or Eel Ground, New Brunswick – is through sustainable, community-led development. It is CFTC’s mission to assist the community itself to build the tools and implement the change that they want to see in the long-term. The Saddle Lake, Alberta Boys and Girls Club supports students with after-school programs that include a CFTC-funded nutrition component. That’s why CFTC will continue to address malnutrition in Aboriginal communities in Canada, as we do around the world, through community partners. We will continue to strengthen their programs with nutritional support in the form of breakfast, lunch and snack programs delivered through schools. Improved ability to stay on task. 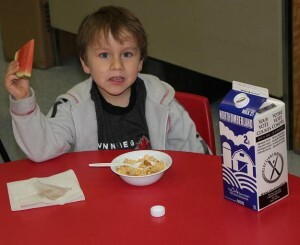 In 2012, with the generous support of our donors, Canadian Feed The Children and our community partners will provide over one million nutritious, healthy meals and snacks to children living in resource-poor communities across Canada. However, we will also do more. We will reinforce school feeding by addressing wider issues of nutrition and healthy eating at the community level. We are working collaboratively with community elders and health and education leaders to develop holistic, best-practice approaches to achieve sustainable development and behaviour change with respect to healthy eating. Our goal is to work hand-in-hand with communities to foster positive change for this generation and the next. For example, in close collaboration with the Eel Ground First Nation outside of Miramichi, New Brunswick, we have designed a pilot project that we believe will transform the way the community approaches healthy eating. We will continue to partner with Eel Ground First Nation School to provide healthy meals to children through the existing breakfast and lunch program. We will also expand the program to educate children, teachers, cafeteria staff and parents about how good nutrition impacts health and child development, now and in the future. 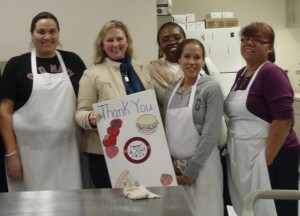 Eel Ground First Nation school cook and her team with Debra Kerby (holding card) in CFTC-funded kitchen (October, 2011). Beyond the school, we’ll also be working with parents and community leaders to create awareness and understanding over the long term about the importance of healthy eating in the home and the community. One of the most exciting aspects of this pilot initiative is the possibility to incorporate traditional Aboriginal foods and culture into the project to ensure that it responds to the needs of all community members. Our vision is of a world in which children thrive free from poverty. We know that there is no “silver bullet” for poverty in Canada. But we also know that becoming complacent in the face of newspaper headlines or overwhelmed by the scope of the problem is not constructive. Our community partners have shown us that they can and are taking action. They’ve shown us that, working together, we can bring about change. We intend to walk with them on every step of the journey. Will you walk with us?